Active adult communities in Sierra Vista, Arizona enjoy its location in the southern part of the state. Though the city doesn t offer 1,000-home communities, there are gated age-restricted neighborhoods that offer great amenities and affordable home prices. 55+ communities in the Sierra Vista area are ideal for active adults who enjoy traveling. Tucson International Airport is just an hour s drive away and the city of Nogales in Mexico is a great daytrip destination for shopping. Located 70 miles southeast of Tucson, Sierra Vista has a total area of 153.5 square miles and it is located 4,623 feet above sea level. Situated in Cochise County, Sierra Vista is surrounded by the Huachuca, Dragoon, Whetstone, Mustang, and Mule Mountains, as well as the San Pedro River on the east. Major roadways include Interstate 10 and State Highways 90 and 92. Snow is not common in Sierra Vista but the Huachuca Mountains Miller Peak and Carr Peak offer picturesque snow-capped mountaintops in the winter. Active adult homebuyers will enjoy the stable climate with little humidity. The months of July and August bring the most rain throughout the year but Sierra Vista remains dry for the rest of the year. 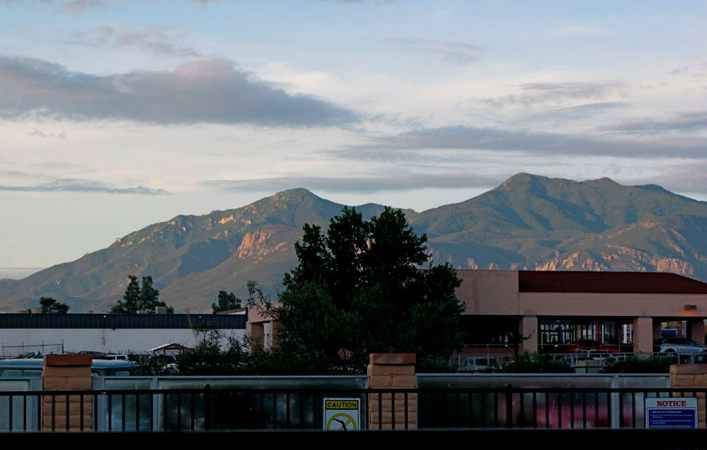 Age-restricted communities in Sierra Vista, Arizona are located near a wide variety of recreation, cultural, entertainment, and educational activities. The city of Sierra Vista has active adult programs aimed for their residents who are over 50 years old. Some of these activities include Sunday concerts, concerts in the park, health groups, trips and excursions, movies in the park, and more. The city organizes groups where active adults meet to make crafts, play dominoes, bridge, canasta, shuffleboard, table tennis, billiards, and bowling. Sports and recreational opportunities are abound within in Sierra Vista. There are ten area golf courses, numerous camping and RV parks, fitness facilities, sports complexes, horseback riding and hiking trails. There are plenty of ways to learn about the history of the area nearby with the Henry F. Hauser Museum, Fort Bowie National Historic Site, The Amerind Foundation, Slaughter Ranch, Murray Springs Clovis Site, and Brown Canyon Ranch. The cost of living index for Sierra Vista is lower than the national average and the state of Arizona. Groceries, housing, and utilities are also slightly lower than the national average as well. The local sales tax rate in Sierra Vista is 7.850%, which is broken down as 5.6% from the state of Arizona, 0.500% from Cochise County, and 1,750% from the city of Sierra Vista. Two local medical centers serve the community s healthcare needs: the Sierra Vista Regional Health Center (SVRHS) and the Raymond W. Bliss Army Health Center. SVRHC is a general medical and surgical hospital in Sierra Vista that has 99 beds. Both hospitals provide many services from inpatient and out patient procedures, patient and family support, community outreach, and diagnostics.